LOS ANGELES – “October Baby,” which topped $5 million in nationwide box office sales last week, captured Best Film honors at the 2nd Annual Life Fest Film Festival while “DOONBY,” scheduled to release later this year after a limited release in February, took home the Capra Award, named in honor of legendary filmmaker Frank Capra. The awards were presented at the Festival Awards Ceremony Saturday night at the Los Angeles Convention Center. Co-hosted by Victoria Jackson, Mell Flynn, and Alfonzo Rachel, the evening capped off the premiere film festival dedicated to showcasing films that highlight the intrinsic value of life and the human experience. In accepting the award, the film’s co-stars, John Schneider and Shari Rigby, remarked on the film’s power to reach across the cultural divide with a message of forgiveness and healing. Another Best Film nominee, “The Way,” directed by Emilio Estevez, which co-starred Estevez and his father, Martin Sheen, was presented with the Jury Award in recognition of its powerful theme underscoring the profound value of the human experience. The Festival also presented several awards in various categories, including special awards for the 5×5 for Life Filmmaker Challenge. Filmmakers were given a prop, character, a line of dialogue, and five days to write, shoot and edit a 3-5 minute short film. A total of ten submissions were received from across the country. Photos from the event are available to media outlets at: www.flickr.com/photos/lifefilmfest. Photo credit should be given to Life Fest Film Festival. Life Fest Director Brian Johnston and Publicist Derrick Jones are available for interviews about Life Fest Film Festival. To arrange an interview, contact Derrick Jones at (323) 393-0674 or emaillifefestpress@gmail.com. Now in its second year, the Life Fest Film Festival is dedicated to showcasing films that reinforce the intrinsic worth of innocent human life and the profound significance of each life. 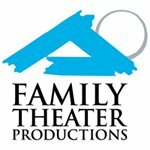 Last year’s participants included Lamplight Entertainment director Jonathan Flora and his wife, actress Deborah Flora, actor/producer Clint Howard, actor Charlie Holliday, actress Jenn Gotzon and actress Mell Flynn. The Life Fest Film Festival will take place May 5-6, 2012 at the Los Angeles Convention Center. Support Life Fest by making a secure donation thru NetworkForGood.  Life Fest is the film festival dedicated to showcasing films that reinforce the intrinsic worth of innocent human life and the profound significance of each life. Copyright ©2012-2019 Life Fest Film Festival. Click here to get your tickets for LifeFest 2019 Now!